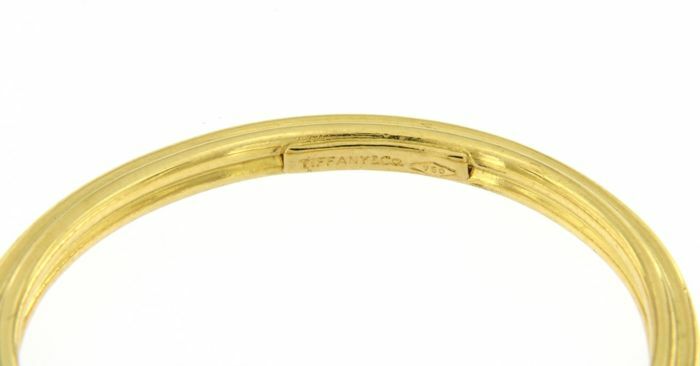 Misura 3,5 x 3,5 cm. 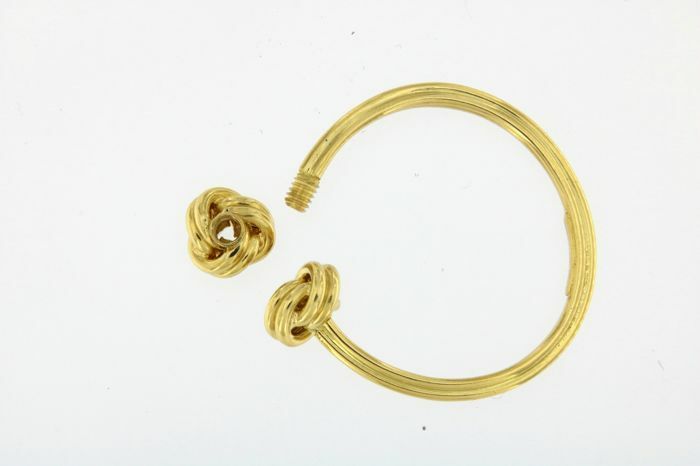 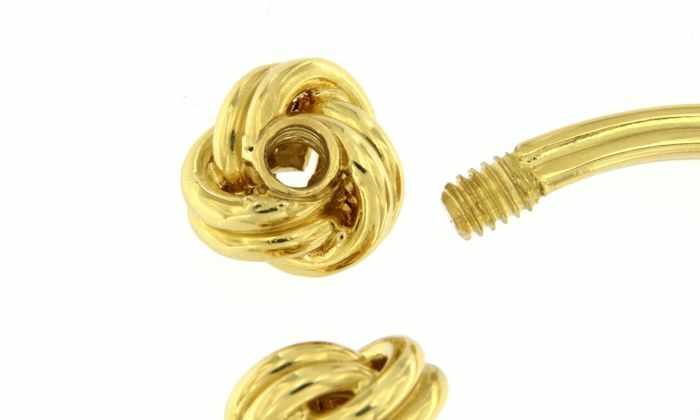 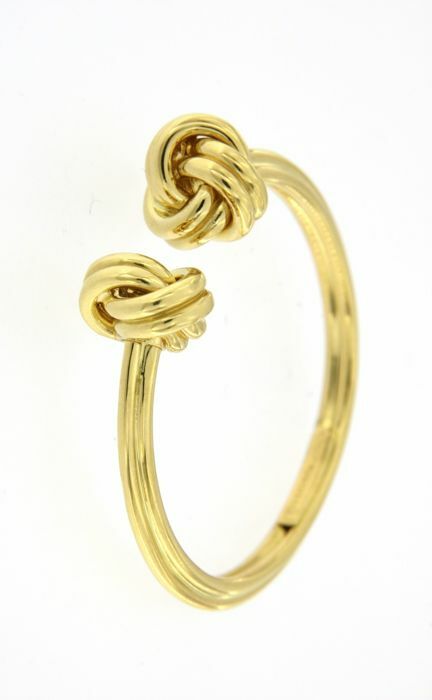 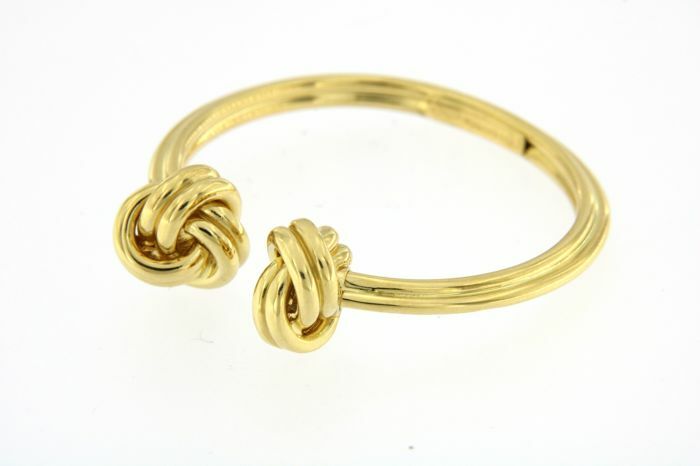 Stunning knot keyring in 18 kt yellow gold, 750/1000. 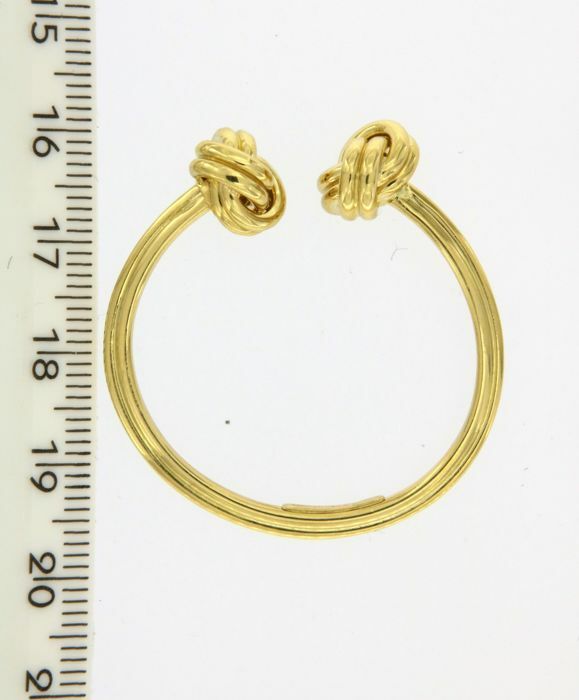 Size: 3.5 x 3.5 cm. 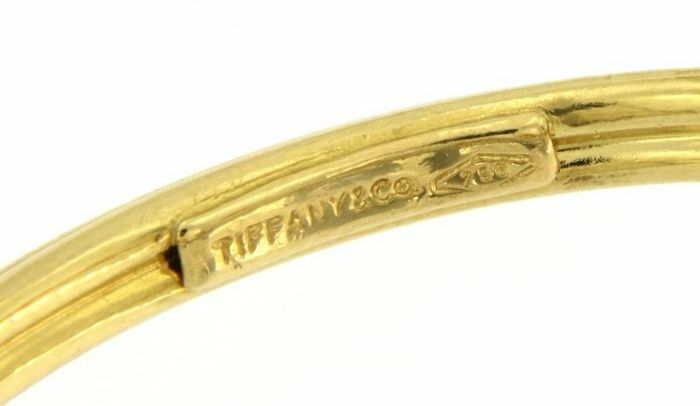 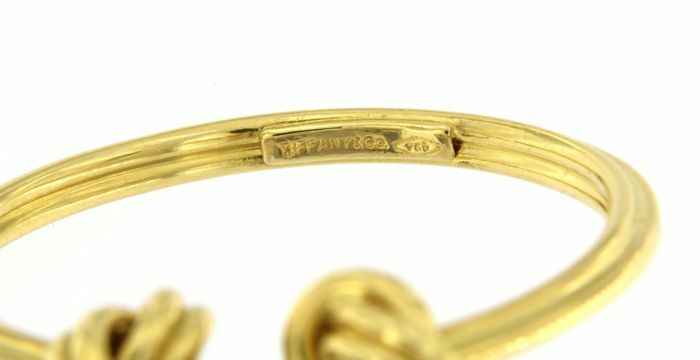 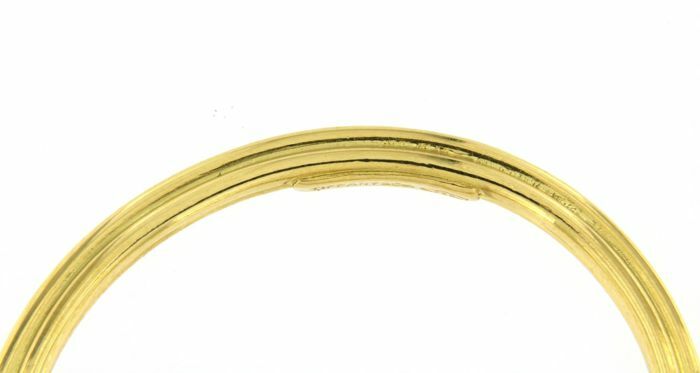 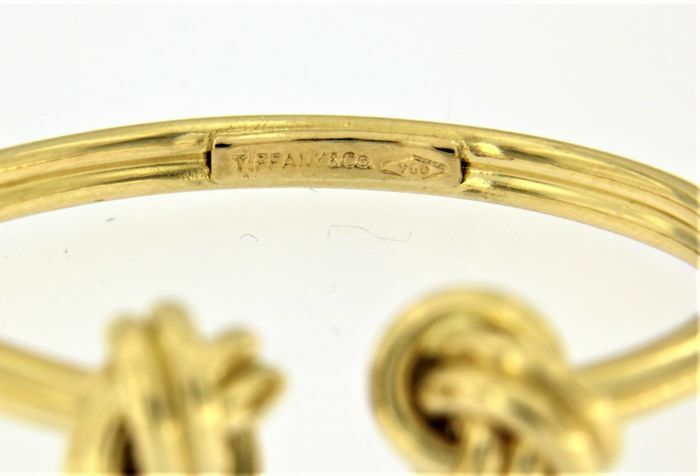 In addition to the 750 gold hallmark which identifies the gold grade, the keyring also has the hallmark of the prestigious company "Tiffany & Co."
The colours shown on your screen may differ from the real ones. 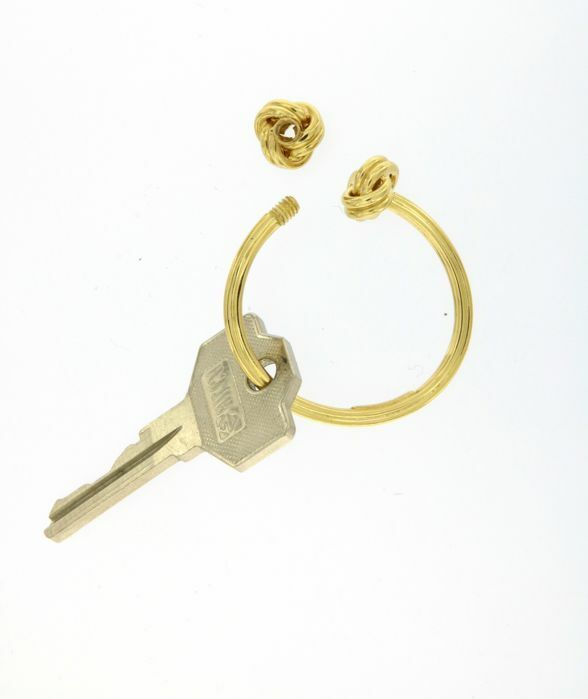 This keyring comes with a 'Ledial' branded gift box.